I never knew I needed a gym at the airport until I became a flight attendant and I spend gazillion hours at the airport. Between delays and three hour “sits” where I wait and sit in the airport between flights, I be wanting to go to the gym. I’m on a mission to look like a Drake song, “and your stomach on flat flat. And your a** on what's that?” So I stay in the gym. And the real tea? Flight Attendants gain so much weight. It’s so easy to because we’re up early, working twelve hour days and by the time we get to our hotels, it’s late and there’s no healthy food options. I also refuse to pay for airport food, it’s not tasty and over-priced. I’ve been meal-prepping food for my trips, whether it’s a two-day or three-day trip, I take the time to really prepare meals that hold well and are healthy. It definitely takes some creativity. You can follow my Pinterest Flight Attendant Meals board here (you don’t have to be a FA to follow it, I just save my favorite meal-prepping recipes and hacks). 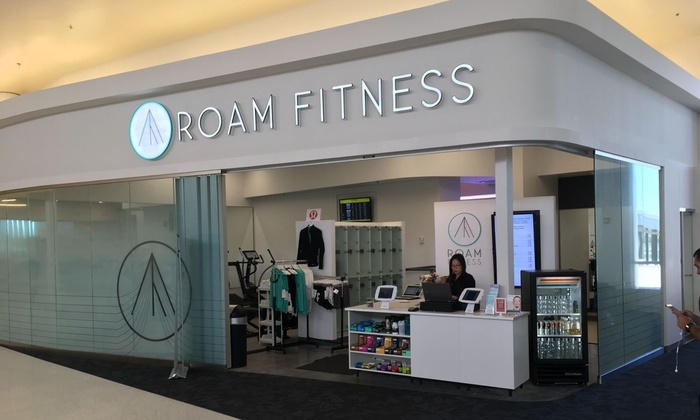 If you’re also a frequent traveler, you’ll definitely be into ROAM Fitness at BWI. They have everything you’ll need to workout at the airport. 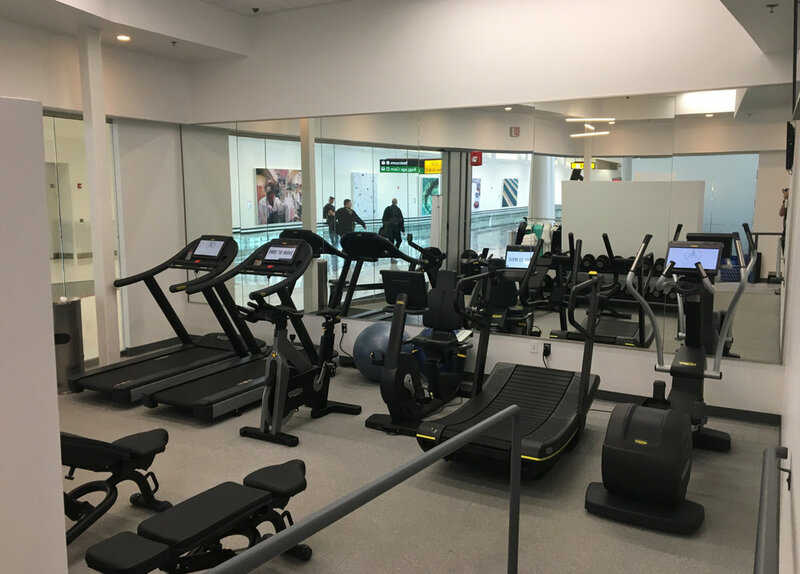 ROAM features premium cardio equipment, free weights, the TRX system, and stretching space with yoga and plyo props. Located right behind security at BWI, next to gate D1, ROAM has private shower rooms that each have a toilet, sink, and shower as well as Amazon's Alexa to stream music. And you don’t have to put your sweaty gym clothes back in your bag, as ROAM has workout clothes that you can rent. Also, you don’t have to unpack your bags as the lockers at ROAM are big enough to fit all your carry-on items and they’re power enabled so you can charge all of your devices while you're exercising. Peep the flight information display boards in the facility to help you keep track of your flight status. ROAM has literally thought of everything for the fitness enthusiasts who despise how travel days interrupt their health. You can purchase a day pass at $25.00 or an annual pass at $30.00 per month. I think ROAM is onto something. It’s a innovative idea for my fly girls who are committed to their fitness goals. Read more about ROAM Fitness here. Currently, they have only have one location but they have plans to expand.